Official competition piece at the recent Puchoen (Bucheon) International Fantastic Film Festival (PiFan). About 200 days prior to the college entrance exam, a school manages a cram course for its top 20 students. Evaluated only by their grades, school life is so stressful that some students suffer from serious mental problems. A sudden piano solo of "Elise" wakes up the sleeping students and a screen shows the top student, Hye-yeong, dying in a water tank. 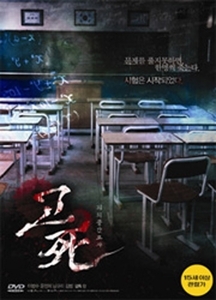 A voice asks the students to solve a question, to decide the fate of Hye-yeong.